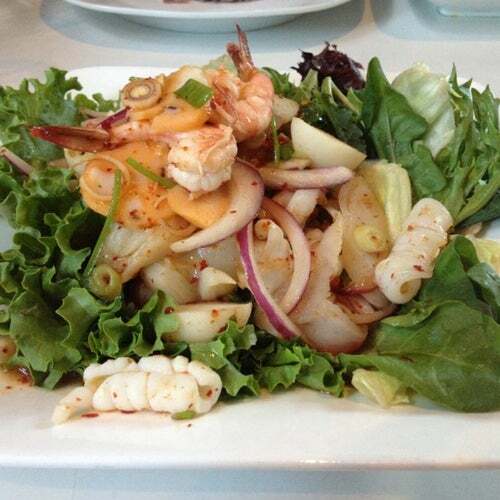 Thai Corner Express has authentic Thai meals in a lovely, modern setting. A great bargain for lunch, and always a go-to date location. In the Castro, this haven perches above the hullabaloo of 18th street. I really like the food here, especially moo tod, and the waiters are fabulous. It's definitely my favorite restaurant in the Castro. One of the better Thai restaurant in the Castro District. A wide variety of dishes and decently price. You gotta get some sticky rice with mango dessert... it's delicious! Thai House Express is my corner Thai place (I'm lucky enough to live right here in the Castro) and I eat there way too many times to mention. The food is terrific: maybe not the best thai I've ever had, but close to it. I recommend the yellow curry chicken (I forget the name) There's always a crowd of good looking people and the waiters aren't bad to look at either.